Generously sized tags make finding your backpack, satchel or bag a breeze! Each has a little sparkle and glitz to make them extra special. Perfect addition to the honeymoon or vacation bags! 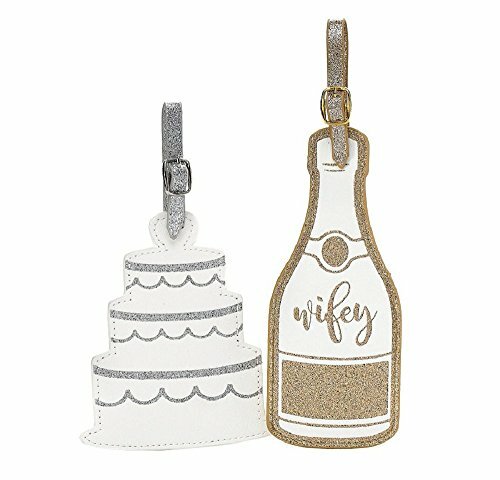 Engagement present or shower gift for the newlyweds as a great honeymoon travel accessory. Pair with passports for a complete set. If you have any questions about this product by Jade and Deer, contact us by completing and submitting the form below. If you are looking for a specif part number, please include it with your message.